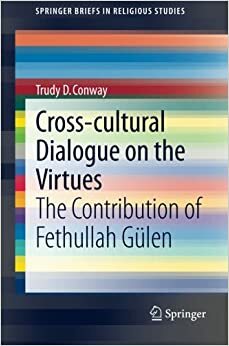 Professor Trudy Conway presented her new book and talked about the significance of virtues in understanding the Gulen movement on February 4. Rainer Hermann presented his recent book "Where is Turkey Headed? : Culture Battles in Turkey" at the Rumi Forum on January 26. Rumi Forum organized a seminar by FBI on counter terrorism and radicalization at ATFA on December 10, 2014. Rumi Forum president Emre Celik was guest lecturer at the George Washington University and at Jenkins Center, Southern Baptist Theological Seminary in January. On both occasions he was invited to speak about Hizmet, Gulen and current issues in Turkey. Rumi Forum distributed meat in Washington DC as part of community service projects in October 2014. Hundreds of pounds of meat was donated to Martha's Table and DC Central Kitchen to help the poor in our region. Rumi Forum partnered with Mid-Atlantic Federation of Turkic American Associations in organization of a reception for Maryland state legislators in Annapolis. The program was attended by numerous legislators as well as Secretary of State John Wobensmith and Lt. Governor Boyd Rutherford. Charles King Presented his Book "Midnight at Pera Palace"
Charles presented his book "Midnight at Pera Palace" at Temple Sinai in Newport News. The event was organized in partnership with Rumi Forum's chapter in Hampton Roads in January 2015. The Alliance for Shared Values strongly condemns the slaying of the three Muslim students at the University of North Carolina at Chapel Hill. The Rumi Forum condemns, in the strongest terms, the heinous attack on the French magazine Charlie Hebdo that left 12 people dead and several others injured. The raids on Turkey’s top selling newspaper Zaman and prominent TV organization STV are profoundly disturbing to all of us who value democracy, tolerance and the role of a free press in safeguarding both. Fethullah Gulen gave an interview to the German newspaper Süddeutsche Zeitung in December 2014. The book provides a detailed study of Gulen’s account of the virtues and argues that they provide the key to understanding this thinker and the movement he inspired.